Drawings for planning and design; understanding plans, sections, elevations and 3D visualisations. Simple techniques for getting your point across visually. Roundtable: (by invitation to Key Partner and Partner members only). Brexit, Beauty and Brokenshire – current issues impacting planning and design. Major sites network – bringing together people working on new garden communities and urban extensions. Visiting a number of exemplary developments across a region. Achieving better design – what can councillors do? 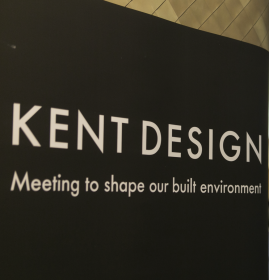 Showcasing major developments in Kent & Medway. Full-day introduction to designing places and the space between buildings. Understanding buildings (or Architecture for non-architects) – the basics of building design; proportions, details, materials. Beyond peak car: parking and highways in an era of change. Town centres and regeneration network: bringing together planning, regeneration and highways officers and practitioners working on major urban developments to discuss the future shape of town centres, given changes in the retail/leisure balance and transport innovation. Water-sensitive design. How we can manage rainwater run-off in new developments of a range of densities to provide multiple benefits. Historic environment network: bringing together conservation officers, planners, and practitioners working on projects in historic contexts. Housing types and tenures and the design issues associated with them. Public realm, streets and highways network (bringing together people working on public realm schemes, housing layouts, highways and, of course, parking). All event dates and locations are to be confirmed.